In the first installment, I showed you how I set up artificial incubation for my Angelfish spawns. In this second installment, you’ll see how it can turn out. 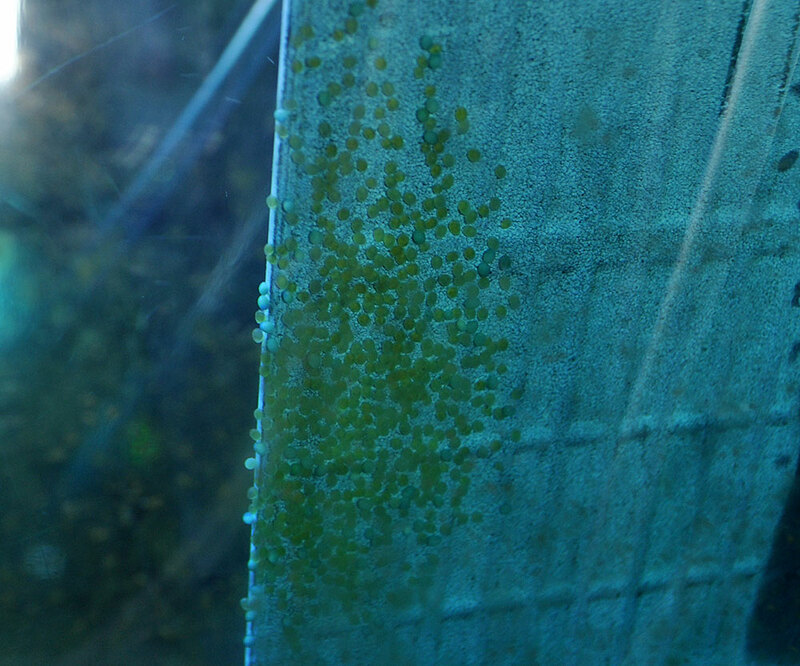 Angelfish Eggs 24 hours into artificial incubation. In the first 24 hours, you should be able to readily identify infertile eggs. If the entire group is dead by this point, I’m generally convinced that something is wrong with the pair that has resulted in infertile eggs. As it happens, I’ve typically discovered the cause to be that the “pair” is in fact, not a “pair”, but two females (this has happened in at least 3 pairings this year alone). There won’t be much change between 24 and 48 hours, although you may see some fungal or bacterial growth on the dead eggs. Early on I laboriously tried to remove them with a pipette, but later on I found this typically wasn’t necessary and that problems didn’t seem to spread to viable eggs. Hatch – we have wigglers (or is it wrigglers?)! This shot 6-22-2013. By 72 hours in, you’ll have a hatch; your first indication that the pair is truly viable. Wigglers take a few days to develop, and now is not yet the time to remove the tile even if it is rather gunky. 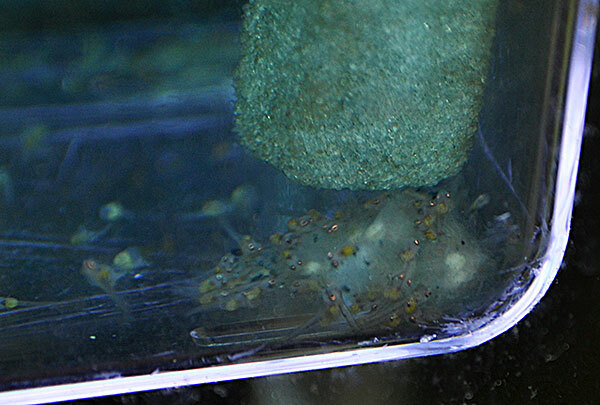 4 days into artificial incubation, 6/23/2013, fry are near free swimming, and fouled eggs are a congealed mess! The remains of the eggs that didn’t make it! By this point there may be a few random decaying eggs that you can remove with a pipette if the fry aren’t attached to them. I have yet to have a failure with artificial incubation if I have hatched out offspring. As you can see, they are “close” but not ready, still driving development via their yolk reserves. 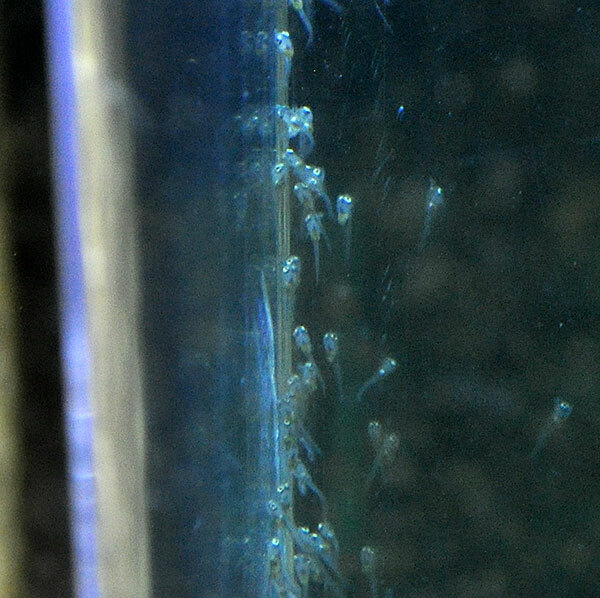 With warm water temperatures, the fry develop fast, and at 6 days in they are nearing free swimming and first feedings (I start them off with brine shrimp nauplii). Shot 6-26-2013, the Halfblack X Silver fry are now free swimming and ready for grow out! From here, it’s pretty easy to figure out where to go. Some breeders may not feed initially when the fry free swim, but I go ahead and give them their first baby brine shrimp. Not much gets eaten, but for those that do feed, all the better. Typically from here I’ll transfer the fry to a 10 gallon tank that I’ve initially filled with RO/DI water; this eases the transition into the tank. Simply float the specimen cup in the tank to equalize temperatures, do a couple pours and fills to mix the water in the cup with tank water, and then dump them in. After that, it is simply the grind of feeding and maintenance. 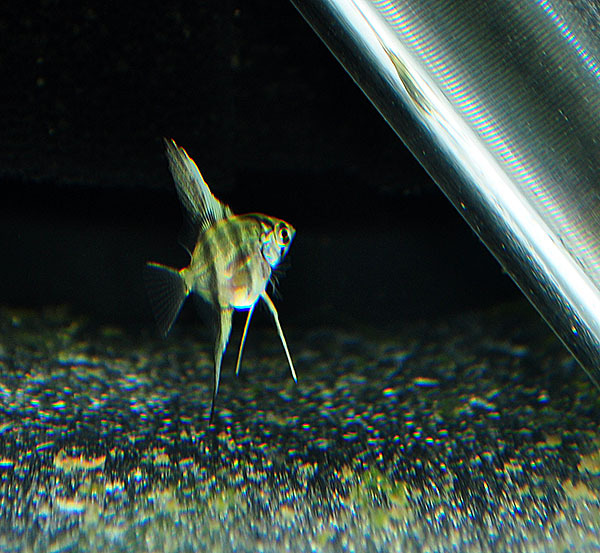 I start doing water changes with tap water instead of RO/DI to bring them onto my regular water (no doubt mineral content helps with their growth too, as pointed out to me first by Frank of Indianwood Angelfish). Halfblack X Silver Angel offspring at 6 weeks post spawn. I have found this method to be pretty foolproof in the last year. I have tried it with other eggs, eg. Corydoras sterbae and Scleromystax barbatus, without similar success. I cannot say why that is, but apparently this methodology may, or may not work, with other fish species. 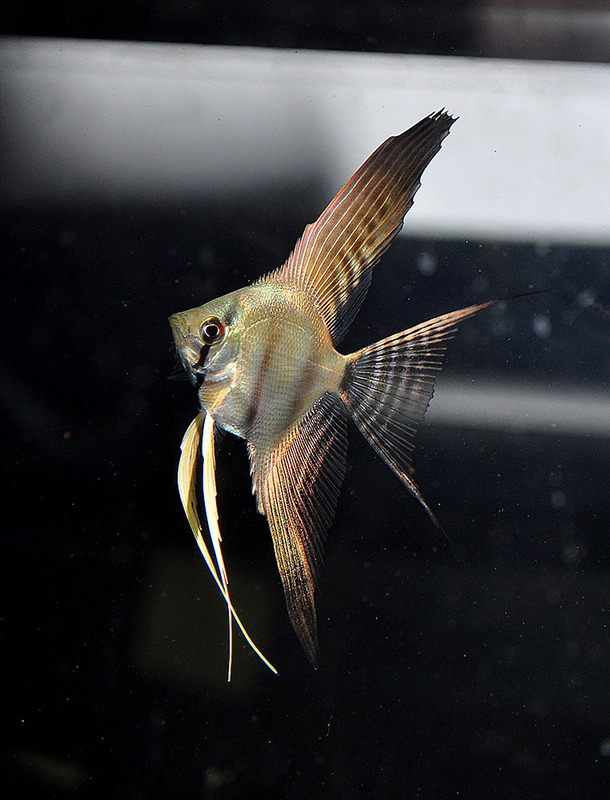 I have found a certain level of security, however, in having this trustworthy protocol with my freshwater Angelfish. Offspring from another Halfblack X Silver pairing at “nickel” size – the result of artificial rearing. Sure, I still let parents tend nests when I don’t need them for rearing, but being able to have confidence in this method allows me to use it with first time spawners to quickly ascertain more about them. For example, I recently discovered two new pairings in my fishroom that throw albino offspring; both a surprise since none of the parents are albinos, and I wouldn’t have known this had I left the eggs with the parents. I used your method this week. It worked very well – I have couple of hundred wigglers. I think the use of RODI water made bacterial counts minimal. I don’t know why I didn’t think of it earlier – I have used this method extensively with killifishes. Species like blue gularis which cause trouble for some using other methods yield nearly 100% hatch rate in RODI water with a few drops of methylene blue. At 76 F the eggs hatch in coordinated fashion in 14 – 16 days. To assure complete hatch when the first fry appear I exhale a few times into the water through a straw to increase CO2 (that is the lore) and all hatch within 60 minutes. At what point do you pull them from the Methylene Blue? 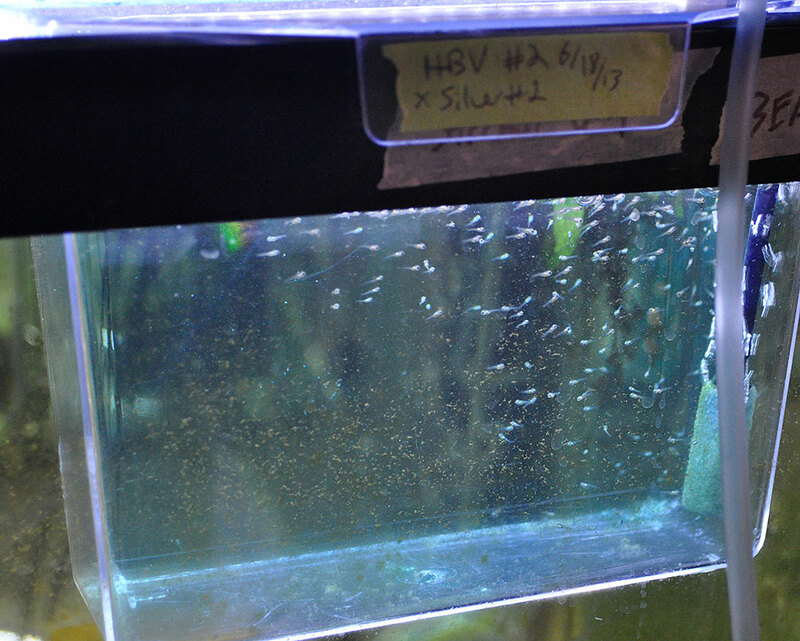 During incubation through the free swimming stage, I would keep them in Methylene Blue. 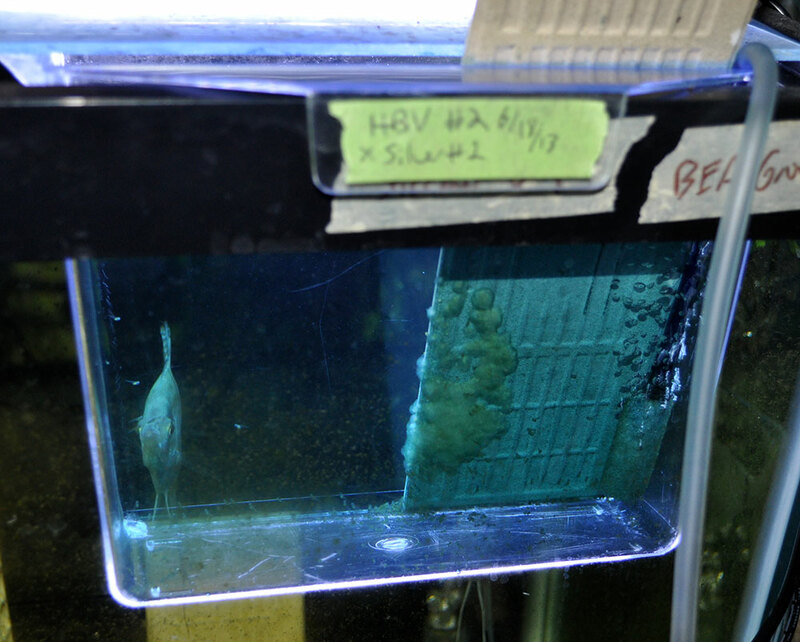 Once they are moved to a grow out tank, that is rapidly diluted. What is RODI water? Is it distilled water that you buy in all the stores? RODI is reverse osmosis deionized water, some pet stores will have it if you can’t find it at the super market. I just want to thank you for this post. I followed your method but not RODI water. I was just using Prime for my water and put the angelfish eggs in with methylene. Im on day 3 post spawns now and the wigglers are still there. Not a lot for the first batch as the egss were eaten by the parents before I got a chance to setup the environment as explained in your post. Ill wait and see if they survive when transferring them to a 10 g.
Hi I just want to thank you for this post. I followed your method but not RODI water. I was just using Prime for my water and put the angelfish eggs in with methylene. Im on day 3 post spawns now and the wigglers are still there. Not a lot for the first batch as the egss were eaten by the parents before I got a chance to setup the environment as explained in your post. Ill wait and see if they survive when transferring them to a 10 g. Thank you once again. I used your method this week. It worked very well - I have couple of hundred wigglers. I think the use of RODI water made bacterial counts minimal. I don't know why I didn't think of it earlier - I have used this method extensively with killifishes. 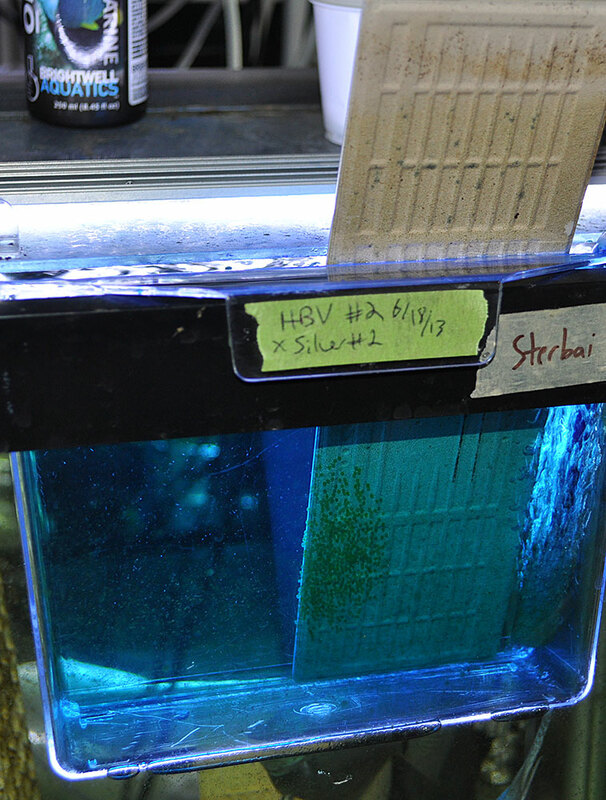 Species like blue gularis which cause trouble for some using other methods yield nearly 100% hatch rate in RODI water with a few drops of methylene blue. At 76 F the eggs hatch in coordinated fashion in 14 - 16 days. To assure complete hatch when the first fry appear I exhale a few times into the water through a straw to increase CO2 (that is the lore) and all hatch within 60 minutes.